If you’re looking to get the best secured card, there are many with no annual fees and even cashback rewards. You don’t need good credit, because secured credit cards are made for those with bad credit. They work by providing you with the ability to borrow up to the amount you put as a collateral. It’s like a prepaid credit card, but the company that offers it typically reports to the major credit bureaus. The difference between a good and bad secured credit card is huge. Good ones not only report to credit bureaus, but also convert into unsecured at a later date. The best will go a step further and give you your deposit back. But some of the ‘bad’ cards will keep this when they give you an unsecured card. Pro tip: If you have a secured card that converts to an unsecured, this conversion could be reported to the bureaus in one of two ways. Some issuers create an all new card which restarts the age of your credit account. Then the old one would inherently be canceled, and no longer contributing towards your average credit age. At Elite Personal Finance, we strive to provide you with the most advanced information on everything credit and identity theft related. If you are in a bad credit situation, nothing can help more than a great secured credit card. But we know many duds exist, and our expert team has gone over countless cards in recent years. So we’re just going to break it down for you with the current best secured credit cards on the market. You don’t have to waste your time fishing around anymore! For anyone with bad credit or no credit, these secured cards are readily available and they offer tremendous benefits. The Elite Personal Finance team recommends each of them highly, but we advise you take your time to look over the pros and cons of each as they are all unique. We all love getting cashback. It’s the one thing people with bad credit envy the most about people who can get any card they want. There are few good secured credit cards with cashback rewards on the market. The Discover it is one that distinctively deserves to rank on such a list though. What makes the Discover great? You can get a maximum of 2% cashback. This means if you spend $1,000 a month, you’ll be receiving $20 every month back. This would equate to $240 in a year. 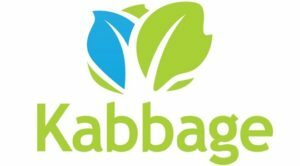 It works out as 2% cashback for restaurants and gas station purchases. Then you get 1% on any other purchases you make. However, they limit you to $1,000 every three months. With the Discover it secured card, you also get to enjoy DOUBLE your rewards in your first year. 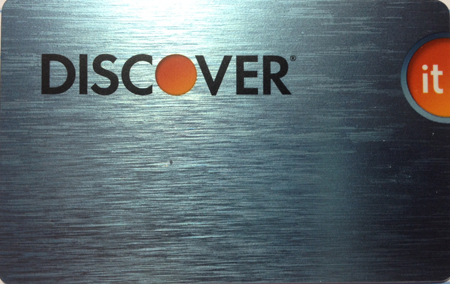 After you pay on time for a little while, you will get a chance at an unsecured credit card through Discover. You can work on your credit. A great add-on is the free access to your FICO score. The Citi Secured MasterCard recently changed their terms to allow its cardholders to request an unsecured after 18 months. Citi’s secured has a $25 annual fee, which is even cheaper than what the Discover it card charges. The biggest downfall is that interest rates are steady at 21.99% APR. You will be able to make a deposit of $200 to $5,000, making it one of the higher secured card limits you can get. This card has been a favorite for many users. A few aren’t as happy with it now, as it used to have a flat 18.24% APR but for most the impact is minimal. The access to a $5,000 credit limit is what really makes it great. Once the 18 months passes, you’ll be able to easily qualify for upwards of a $5,000 unsecured credit limit. With the Capital One Secured MasterCard, $300 to $2,500 is your credit limit range. This card has a 19.8% APR rate. You might only need to give between 30% and 50% of this amount to get started. Once you have it, you’ll have a $59 annual fee. The lowest you’ll have to give up is $75 for collateral. Give it 6 to 18 months and you should be able to convert it into an unsecured Capital One card. If you convert cards or if you close the Capital One, the deposit will be refunded to you once the balance is paid. This is a great secured card. It has a 10.15% to 20.15% APR rate, a $35 annual fee, and a $250 to $5,000 limit, just like the Discover. The biggest weakness with the USAA Secured Card VISA Platinum is the fact that it will not ever convert into an unsecured card. So you have to close the card and lower your average credit age if you don’t want to pay an annual fee just to keep an unneeded card. You’ll find yourself upgrading from your secured cards once you get the chance as unsecured have a larger impact on your FICO score. If you aren’t worried about getting cashback, the USAA Secured Card American Express is a great card to have. It has a $35 annual fee, 10.15% to 20.15% APR rates, and if you’ve just deployed you’ll enjoy a 4% APR until one year past when you finish your tour. When you set up the card, you can set anywhere from a $250 to $5,000 credit limit. The only downfall is that this card doesn’t convert into an unsecured card at any point. You will have to close it whenever your creditworthiness grows and you have more unsecured cards. Otherwise, you’ll be stuck with a $35 annual bill to maintain it just so your average credit age can grow. 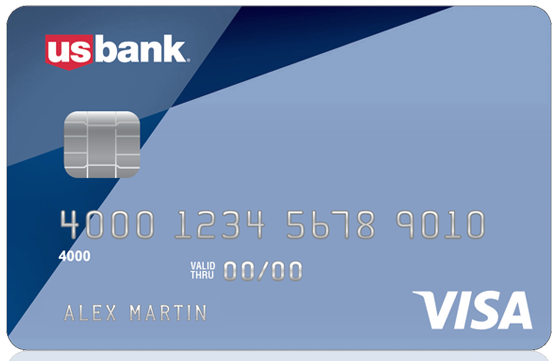 Honorable mentions: The OpenSky Secured VISA card, which has $35 annually, a 17.64% APR and up to a $5,000 limit. primor Secured VISA Gold card, which has $49 annually, a 9.99% APR and up to a $5,000 limit. What is a Secured Credit Card and How Does it Work? First you apply for the card and then the company will either approve or reject your application. If you are approved, you’ll either have to make a partial or full deposit. These funds will be used as collateral to ‘secure’ the card. You usually get the money back after you convert the card to an unsecured one, or if you close it for good. Does a secured credit card help your FICO score? Yes it does. If you’re a bad credit or no credit borrower it’ll be a huge plus. You can use it to build or repair your credit strength. However, it will be reported to the credit reporting agencies as a ‘secured’ card specifically. This has a little less positive impact on your FICO score than an unsecured card. Still, you get the benefit of increasing your average account age. Converting the card to unsecured will get your collateral funds refunded, which can then be used to pay off whatever you owe and then you’ll also have a low utilization rate. What’s the credit limit of a secured credit card? Your deposit dictates how much you can borrow off your card. Each card issuer sets a different cap to how much you can place as collateral. Some are as little as $300 and others will let you give a $10,000 deposit or more. What’s the highest limit secured credit card? $5,000 is the highest common limit you will find for a secured credit card. Only one card sticks out as having a higher maximum limit. 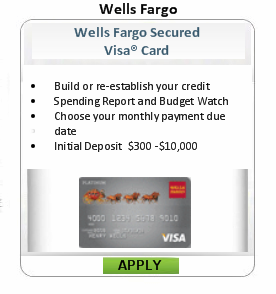 That’s the Wells Fargo Secured Card, which features a $25 annual fee and a $300 to $10,000 limit. How much do you have to give as a deposit? They will do a credit report inquiry to see what kind of creditworthiness you have. If it’s determined that you are somewhat responsible, you might be able to give something like 25% of the total card limit. In most cases though, you just have to fork over 100% collateral. Which of them offer cashback? You will be hard-pressed to find a secured credit card that has a cashback reward program. The only one we know of that’s worth considering right now is the Discover it secured. There might be some new cards that come about in the future that offer better rewards. For now, the Discover it card is pretty good as it gives 2% cashback on gas and restaurants and 1% cashback on all other purchases. Which secured credit cards have no annual fees? The Capital One Secured MasterCard comes with a $0 annual fee. It’s the only high quality secured we know of right now that has no annual fee. However, you can still find some that offer $0 for the intro year. You will find many that have annual fees between $25 and $35. There are also some that have fees in the $50 or higher range, which for most people will be too high to bother. 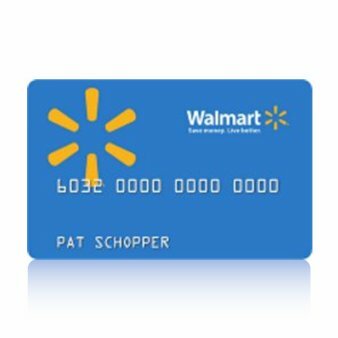 Secured card that doesn’t upgrade? If a secured credit card won’t convert to an unsecured one, why bother with it? The reason is simple … an unsecured card creates an additional amount of required trust. If you’re not confident you can keep your debts paid, having a collateral on the card will prevent you from messing things up. This will save you from destroying your credit score; at the same time you can build up your FICO score with your secured card.